With so much noise surrounding the drone industry, whose opinion are you supposed to trust? Colin Snow AKA “The Drone Analyst” joins Ian to explain why his team’s thoughtful, pragmatic approach to analyzing the drone industry sets them apart. 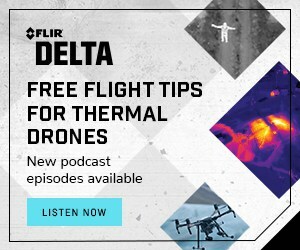 Colin and Ian dispel myths surrounding the most common misconceptions with drones, the biggest opportunities that exist for drone companies, and what he believes it the most exciting thing happening in the drone industry right now. If you’ve ever done a search for “commercial drone” or something similar, you’ve likely come across one of Colin Snow’s articles. A 25-year technology industry veteran whose interest and expertise in commercial drones stems from his experience making, programming, and piloting UAVs, Colin’s interest and expertise around what is and will be happening in the commercial drone industry is unmatched. 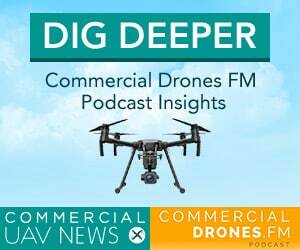 That insight and experience made for a fascinating discussion on episode #25 of the Commercial Drones FM podcast. Host Ian Smith discussed a wide range of topics with Colin, aka the Drone Analyst, during the episode, which included exploring some of the biggest misconceptions, myths and opportunities that currently exist in the market, as well as a look into the future. I was able to connect with Ian to run through a few questions I had for him after listening to the episode which center on how the technology is being utilized on the farm, whether he’s in agreement with Colin around what standards will mean for organizations moving forward and plenty more. The podcast is embedded in the player above, but you can also listen to the episode on iTunes or Google Play. Jeremiah Karpowicz: Hearing Colin talk about his professional experience got me thinking about the many different backgrounds of people in the drone industry. In the conversations you’ve had with your guests, have you noticed any commonalities in those backgrounds, or are they all over the place? Ian Smith: It’s always interesting to discover what led people to careers in the drone industry. Whether it was a previous position that had something to do with similar technology, or if it just stemmed from something else—something more primal that had been with them since they were younger. The desire to take flight is strong and the barrier to entry has previously been quite high. Now, nearly anyone can become an FAA-certified pilot by just taking a $150 written test. Regardless of that, there does seem to be a commonality in that folks who work for OEMs and software companies tend to have had some experience in aerospace or the technology sector. You guys had a pretty in-depth conversation around why agriculture is not the most lucrative market for drones, which is something Colin has written about extensively. Do you think some of the challenges he mentioned are exclusive to the ag space, or will they pop up in other industries? Good catch. Agriculture can be lucrative but has been the epicenter of drone hype for years now. The earliest of adopters in agriculture started to get on-demand aerial views of their assets via drone as early as 7 years ago. Agriculture is one of those industries where so many factors come into play for the final product—the weather, the soil type, field history, seed type, row spacing, time of planting, time of harvest, sunlight, moisture, etc. The question has always been, “Great. I have an NDVI map of my field. Now what?” Companies are trying to make drones more effective by developing software that can make the data they provide more useful and give the grower something to actually do; a deliverable that lists the actions to take to increase the yields or decrease the inputs. Drones are just a single piece of the puzzle and they may never have had a fighting chance to live up to the hype that many placed upon them. There is a lot going on in agriculture, there just needs to be more development in the software to make them a no-brainer. If you look at construction, for example, there are quite a few less variables, so drones became immediately useful by providing data that none of the companies had ever seen before. Elevation models, 3d models, volumetrics, point clouds, video, and orthophotos are changing the way construction companies conduct their operations by giving them the power to increase efficiency, safety, and save money from this aerial imagery. The size of construction sites are also perfectly within the endurance capabilities of most small drones so that’s another thing they have going for them. With that said, other industries will absolutely experience these challenges but have the virtue of not having been under such an intense spotlight of expectation. Colin mentioned that he’s never seen an industry with so much aggressive speculation around growth, and that he’s currently tracking over 50 projections concerning the value of the technology. What do you think are some of the factors that have contributed to so such a major hype cycle? To quote Mugatu, “That drone industry’s so hot right now.” I believe one reason for the hype is that flying robots are intrinsically cool—if they can be used for business, even better. But really, it’s seriously odd on how wild the speculation is, the rate at which it’s coming, and the variation of the projections. Colin laid down some excellent points on how these industry reports work so if you want to understand why major investment firms and analysts are quoting a $120+ billion market potential, you should definitely give the episode a listen. I have been contacted a few times to participate in some industry reports and the actual methods in which they get their data was a bit alarming. On contributing to one report, I was asked to guess how much the thermal imaging market would be worth in 5, 10, and 15 years… how could I possibly come up with a reliable metric? I wound up doing some rudimentary math and assumed that sales would moderately increase and hardware prices would moderately decrease. My final result was incredibly conservative and probably pretty boring. I’m not sure if they wound up using my projection – the report would’ve cost me hundreds of dollars just to read. Do you agree that “companies who don’t think there will be standards are dead“? I’m mostly in agreement. Any company worth its salt will easily identify that there are rules and regulations in which to play by when fostering commercial drone operations. I spent many years in commercial/business aviation and mountainous efforts were made towards compliance. Just take a look at a printed copy of a FAR/AIM and you’ll get anxiety just imagining what’s written inside. The FAA can audit a company if they want and go through flight operations records. What if you have no records? Your operational certificates can be revoked and you can lose permission to operate aircraft indefinitely. Drone industry standards are directly influenced by existing manned aviation—the FAA rules the skies and the main concern is safety. If you don’t want to comply, you’ll never see the potential ROI because you’ll have growth anxiety. All it takes is one incident. Something that’s really interesting to me is seeing legacy manned aviation standards companies like Wyvern, a flight operations auditor, coming into the drone space. Wyvern announced their EXACT Assessment Program at AUVSI, which is a certification process for drone operators who want to uphold rigorous safety standards and adhere to industry best practices. In manned aviation, charter companies and flight departments will wear their Wyvern certifications like badges of honor, showing how important the culture of safety is to their operation and how pervasive it has become. There is something to be said about that. When it comes to the future, Colin talked about and has tweeted about how we might need to reconsider when that future is going to arrive, since the creation of something like a UTM is going to require major business and regulatory questions get sorted out. What sort of people/organizations/companies do you think will emerge or take charge to help find those answers? NASA’s UTM effort seems to get a lot of attention. They’re trying to create the answer to a very difficult challenge—a future in which there are thousands of drones and hundreds of manned aircraft operating together in a given area. The FAA has made powerful strides to bring us closer to that reality, which I applaud them for. As far as the companies that are involved, there are quite a few which are trying to play a major role. You’ve got business lobbying organizations like the Small UAV Coalition, regulatory-focused companies like Skyward, and other small/medium businesses which all play a role in making their voices heard to help find these answers. Part 107 so far has been a resounding success but as drone operations grow and regulatory concerns like beyond visual line of sight operations become more and more requested by operators, a scalable system needs to emerge. Whether it comes from the private or public sector shouldn’t matter much. I’m hoping that UTM succeeds and comes sooner than later. [00:00:00] [Advertisement]: This episode is brought to you by UpSonder, the easiest way to monetize your drone with the industry’s only Million Dollar protection coverage free to its members UpSonder is the top choice among certified drone pilots to get up and stay up to get started. Create your free listing today at upsondor.com. [00:00:23] [Introduction] Welcome to Commercial Drones.FM, the podcast that explores the commercial drone industry the people who power it and the concepts that drive it. I’m your host Ian Smith. 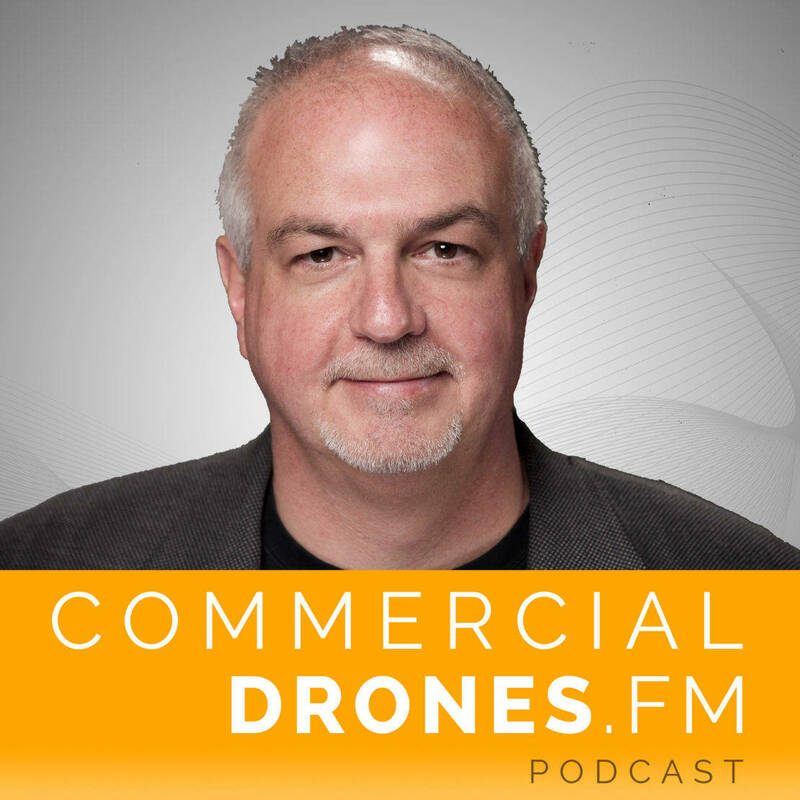 [00:00:35] IAN SMITH: Hey everyone welcome to Commercial Drones.Fm. Today I’m sitting with Colin Snow, the drone analyst who’s the CEO and founder of Skylogic Research. We are at the UAV, Commercial UAV Expo in Las Vegas, Nevada. Colin is one of my most anticipated guest whenever I was starting the podcast, so he always has great insights so I’m really happy to welcome him to the show. Welcome to the show Colin. [00:01:01] COLIN SNOW: Yeah thank you for having me. [00:01:02] IAN: Absolutely it’s my pleasure completely. So let’s start off like who is Colin Snow? Who are you? What’s your bio? [00:01:09] COLIN: Yeah. Well again thank you for having me on the podcast. It’s a pleasure to be here and my official title like you said as CEO and founder of Skylogic Research that’s a company I started under the brand, Drone Analyst and that was back in 2012. My work career started really in manufacturing. I was a manager for many years at Olympus Corp. So that’s a camera company. I worked in the medical device division and I participated first hand as that industry moved from opto mechanical devices with film cameras that you had to physically attached to and to video devices that relied on the CCD chip. When the CCD chips were first coming they were used in industry and medical imaging that’s one of the first places it was used. [00:01:54] Later as a Industry Research analyst in Silicon Valley I focused on enterprise software and I looked at the vendors and systems because I worked for those firms I worked for Oracle PeopleSoft and then most recently I worked as a mobility products marketing manager for the enterprise cloud software company SAP which is a very large world company. But I started an analyst in 2012 with the aim of doing research on commercial drones and educating startups and investors with industry trends and regulatory trends mainly because nobody else was doing it. And everything I was reading up to that point was suspiciously pretty hyped. So I named the firm rone analyst so that people could find me on it. It was really about getting search engine optimization and the business has expanded a lot since then and I such that I do now have a staff of adviser contributors. [00:02:52] But today’s Skylogic Research. It’s a research content and advisory services form a firm that supports all the participants in the commercial unmanned aircraft systems industry. And our goal is to help that community make investment decisions with confidence and by providing research based insights on the commercial drone markets. That’s my elevator pitch. [00:03:27] IAN: Ok cool. The SUASU News. Two of my go to drone blogs online. Very cool. So why drones for you? I mean it sounds like from what you said there’s like this perfect storm that you had like imaging experience, most of those drones have cameras on them right now. It’s very important. And then all this enterprise SAS software experience and analysis stuff. So why did you choose drones? I mean was there a specific reason? [00:03:56] COLIN: Yeah I actually started as a hobbyist. My history of flying drones back then was model aircraft. It goes all the way back to the 70s when I was in high school and I built a radio controlled model aircraft with my father. My father was an MIT engineer grad and his hobby was building aircraft so I learned aviation aircraft from that. After college though I took a strong interest in photography and I kind of did not do any more radio controlled model aircraft flying but I took a strong interest in photography and I did aerial photography from Cessna’s and the Hurricane Hunters aircraft in Miami. [00:04:36] And as a photographer I’ve been an amateur underwater photographer and videographer for years and back in the 80s and 90s I had a commercial business for a while but it was in the advent of hobby quadcopters back in 2009 that I got back into RC flying and I started to do what many hobbyists were doing at that point which was building kits and back then you had programmed Flight controllers and then everyone was attaching GoPro cameras to capture video. And so I did this right. I built these kits. [00:05:04] IAN: And just for fun. [00:05:05] COLIN: Just for fun and started flying them and I made a video and the video which was somewhat stable because at first they weren’t. And I got hooked because it was so much like underwater photography because you’re filming in 3D space. So that’s why I got interested in drones. [00:05:27] IAN: That’s really cool. So there’s a bit of aviation background as well and model aircraft stuff so yeah. Completely perfect storm creates the drone analyst, that’s awesome. So you have let’s see team members on your team you mentioned and you’re kind of working with a team now. You started off just as yourself I guess. [00:05:49] COLIN: Yeah actually I started off with my wife who co-manager the business together but we’re kind of very fortunate to have four independent contributor advisers and we’re expanding that. But the four that we have now are Chad Colby and Jonathan Rooper act and Bill McNeill and Steve Malheur. Besides them we have a dozen or so contractors that help us do writing and editing and research and they do the general work. But I’m the chief analyst and the main writer I’m the project manager but as my wife Charlotte who is the chief content officer and she’s got more than 20 years of experience in publishing and business management market research and content marketing. [00:06:28] And her background is in tech for example she served as vice president of info world’s test center and she founded info world consulting services and she’s also held executive editorial positions at publications including Computerworld and PC resource PC Magazine and PC work and and Computer Shopper so She’s the co manager. She’s the chief content officer. She’s my main editor and a big part of the business. Cool I’ll go through our contributor advisers and talk about them and one of them is Chad Coleby. He’s the founder and principal of Colby Adtech and he’s here at this conference at the commercial UAV Expo and he’s considered the leading industry advocate for the use UAS in agriculture. Chad’s also a general manager of a central Illinois AG fifth generation case IA dealership. So he knows a lot about AG. [00:07:25] IAN: Big old tractors. [00:07:26] COLIN: Big tractors right. And he he shares his knowledge in his passion of Agriculture and he’s pretty much an evangelist for drones in agriculture. And you can find him at I think at the @chadcolby on Twitter. [00:07:42] IAN: I do want to touch on just to interject real quick. We will touch on agriculture a little bit later. [00:07:46] COLIN: OK.Good. Steve Malheur is a good friend of mine. He’s a founder of Malheur media and he’s worked in the photo and video software company as a developer for Apple and Microsoft. He’s a professional photographer he shoots for many Silicon Valley companies like Facebook and Yahoo and Twitter. He’s got a host of other Steves like me. It was his photography experience and love of flight that drove him to build you know increasingly complex and capable aerial camera platforms and he’s gained significant expertise in the film photo and video commercial drone market mania. You can find him on Twitter and Facebook I think @perspectiveair. [00:08:29] Bill McNeil He’s also one of our contributor advisors he writes for directions magazines and he’s really experienced got 25 years of developing and marketing genius applications. That’s Global Information Systems that’s what GIS stands for. In the early 90s he founded Cronus software. That’s the company that developed GISS applications for sales and automation in CRM and then Chrona. That was sold to Ezzati in 1994 and Bill then work for Azariah and he managed their business map group for 14 years. He’s also an avid UAV pilot and he is our expert on mapping and surveying. [00:09:11] So the thing things I think you’re seeing a pattern here is that what I’ve got is contributor advisers are experts in that in the individual verticals and application see because nobody can know everything so I depend on these guys to advise us and help us and and make contributions. And then rounding out our team right now is Jonathan Ruprecht and these are employees these are just contributors. They all have their independent businesses should be known by many of your listeners he’s a drone lawyer and he’s a commercial pilot and he’s an Air airplane flight instructor. [00:09:43] He is a flight instrument instructor and an early on when the industry was forming Jonathan authored a book called ‘Drones:their many civilian uses and the U.S. law surrounding them’ And later he was an advisor for one of the amicus briefs for the for the Huerta vs. Perker case. He coauthored legal treaties on unmanned aircraft and that’s published by the American Bar Association. Jonathon’s currently practicing drone law in south Florida and his firm is Roopak law. And you can find him on Twitter. Believe it. @PatRoop law. So that’s my contributor advisers and the people that I’ve got right now and like I said I’m expanding that. [00:10:24] IAN: So how do you guys work together I mean if you’re producing a report or some type of analysis documentation then you kind of contact each one of them and just make sure that hey like what what do you think on this. Etc. [00:10:39] COLIN:Yeah. Correct. Yeah. Somebody if somebody contracts with us for it’s safer for a research reporter or piece of content and it’s about a specific Birtles because say agriculture or something then I go to Chad and and we either work together or he reviews the work to make sure it’s it’s in line with what he sees currently as practices. You know if there’s a legal issue it’s Jonathan if it’s mapping and surveying then it’s Bill McNeile And if I’m writing up a report on the latest photo drawing camera drone then I go to Steve and that’s how we work together. [00:11:15] IAN: Nice. OK cool so very well-rounded. So that’s really nice to hear. I wasn’t sure if it was just you. I’m actually very very glad to know that Charlotte whom I didn’t know before is behind a lot of the drone analysts content and everything too. So that’s great to learn. That’s really nice. [00:11:34] So moving along now a little bit more meat here so this is a weird question but what’s your favorite drone right now? Do you have a favorite drone? and I know that’s very hard to answer because you need a little bit more probably a little bit more going into actually like for what type of purpose would it be. [00:11:54] COLIN: Yeah sure. Well I personally fly and I’ve built and own several over many years. So but right now I own a Phantom 4 and my favorite is the DJI inspire 1 and I love it for its camera modularity. But again I’m just doing hobby video and photography.. But I do my own post-production. [00:12:17] So being able to film in RAW is important to me in having good lenses and enough megapixels in the camera to be able to produce a resolution that’s all important to me and I keep up with what people are doing professionally and kind of consumer wise. But for me it’s about having fun doing it but it’s also then about learning the user experience what are people struggling with what are they learning. So on the for example like on the inspirer I started with the x 3 camera that was the one that came out with it in version 1. But they later come out with the X5 camera which is a micro Four Thirds camera and I looked at it and I waited. I’m not a first buyer. I’m a guy who waits and sees what happens in the market with something before go out and spend. [00:13:05] COLIN: Yeah I’m waiting for Version 1 or 2.0. I then upgraded to the X5 and looked at the lenses so I’m very careful about what I buy and look at what I think is the right lens so I got a 12 millimeter Olympus lens and sort of that’s my go to drones for filming so that’s my that’s my favorite one. But actually I have some experience trying out drone to play with my Phantom 4. And it’s a great ship for that because it’s got to endure and get some endurance in the flight and the SDK has allowed you to just use the drone deploy app and it uploads and you create a map and it’s quite fun. [00:13:47] IAN: Cool cool. So going back to the video stuff you said you edit your own stuff. Do you use like Abobe Suite of software for that? [00:13:54] COLIN: I use the Adobe Creative Suite Premiere Pro and I’m self-taught. I just go online. There’s so much information I think there are YouTube videos and tutorials for all the little things. [00:14:05] COLIN: And it does take time to learn. I mean I’m just learning about right which is you’ve got to do color correction and people are creating color corrections for slog. That’s a raw image file capture capability. Yeah really. You know code. So then you need to add back the color and add back the light. And people are creating lots what are called luts and put them into premiere and then you color grade your images and that type of thing so nice I have fun doing that. That’s late night weekend fun stuff. I’ll do all my own post-processing. [00:14:47] IAN: Same here. So we’re recording right now on Adobe Audition. So I’m self self-taught on the Adobe Audition after quite a few YouTube videos as well, but it’s actually a really nice officer. Anyways we digress. So OK. Drones cool. We’ve established credibility as if there was any question in the beginning. Anyways what. So let’s jump right into it. Are there any misconceptions in the drone industry. I mean is that possible? [00:15:16] COLIN: Oh yeah. There’s a lot where do I begin. I think this is sort of the number one topic in blogs and in fact in every piece I write or when I talk on a show I try to explain how I think a lot of the visionaries of overhype the future capabilities of drones and hi everybody underestimates the incumbent technology like a manned aircraft and satellite as drones are not going to feed the world they’re not going to transform industries they’re not going to change the world. Penicillin changed the world. The moving assembly line changed the industry. But drones are great. Remote Sensing tool. And I’ll be at a very good one because they do offer new capabilities that weren’t available before because their low altitude but I think that’s sort of where I see some of the misconception is that it’s hyped. But if I had to point to the number one misconception about the commercial drone industry and it’s related to the hype is how fast it will grow and which sectors will do well and which sectors were lagged. [00:16:23] As you know I’ve written a lot about this. In fact I wrote a post and you may read it to your readers your listeners may have read it it’s called ‘diversity in hype in the commercial drone market forecast’ and at this conference I’m actually giving a presentation on that and it’s pretty much the same topic because not a week goes by and I don’t see a new industry forecast that hits my radar. I’m currently tracking 50. [00:16:48] COLIN: 50 independent agencies that make predictions about the size and growth of the commercial drone industry. And I shake my head because I’ve never seen this industry before. And the thing about these is that each and everyone sort of in one way or another they deliver these growth projections for drones that just are are nothing short of phenomenal all the graphs go up. Right. Nobody thinks about the individual sectors and I question and I read all these reports. [00:17:17] IAN: Some of the reports just the energy like so we’re talking about like the Goldman Sachs report which has been heavily quoted and what it was there of there was the Price waterhouse, all kinds of ..I’ve contributed to one and I’m almost like I was about to ask so how did they come up with these estimates? But actually I remember it was one about thermal imagers and I’m not a thermal imaging expert but I do know that this technology – thermal imaging on drones has been relatively out of reach for a lot of people especially the average joe consumer or commercial drone company or else you have to spend tens of thousands of dollars and then get a platform that just didn’t really work right. [00:17:56] And so with the DJI-XT that’s when I was predicting OK like if there’s going to be a rise in thermal aerial camera usage. Yeah. And then they asked me how what’s the market going to be worth? And I literally couldn’t answer. I was like well I don’t know. Each one costs $5,000. Let’s extrapolate that at a growth rate of maybe 5 to 10 percent. And I came up you’ll be happy to know I came up with a very conservative estimate. [00:18:22] COLIN: I like conservative forecasts. They think it’s other things that people don’t understand that these forecasts they all cover different periods of time and they’re covering different things like for example you say one forecast that’s just just sales as it was just unit revenue sales versus a completely different forecast which isn’t even a forecast it’s called a total market opportunity. And so that would be a total addressable market. So you have these factors that you do when you’re creating a startup and startups know this that there’s TAM, SAM and SOM. Those are the market capabilities or the market sizes. But that’s not a forecast of what actual growth and the size of the industry will be. Right. That’s just addressable markets. So every one every one of these four we have to look at this right. The PWC was a TAM. [00:19:16] It was a total available market that’s really not a forecast of what the drone industry will do. That’s one would it absolutely positively could do in the best possible situation and nobody’s going to attain that. And the other thing about TAMs is I’m sorry to digress here. [00:19:33] TAMs are – every time a new technology comes in a TAM gets undercut. So drones actually undercut their own addressable market because as they get adopted that market size shrinks. Because you already have adoption. So these are these are the things that you learn. I was one of the things I want to work for these enterprise companies like SAP and Oracle and PeopleSoft. I was a forecaster I actually was a forecaster in manufacturing and then I worked and then I helped create and design forecasting software. So I understand this and this is sort of why it’s a little bit of the thing that I do I focus on a little bit and my shtick is is let’s get our forecasts right. [00:20:19] IAN: People are people are misquoting. In some cases they’re like oh well the drone market can be where it’s going to be worth $120 billion by 2020. I think that’s one of the. [00:20:30] IAN: It’s actually just a potential market size at the very greatest it could be. [00:20:34] COLIN: Yeah. And I think this is a good point. You’re right on. The problem comes when people make major financial decisions based on these forecasts and my forecasts my poster child for this is how in three to four years almost everyone in the drone business wanted to pursue agriculture because they obviously came out with a forecast that said that agriculture was going to take up 90 percent of the market. [00:20:57] IAN: They said 90 percent? [00:20:59] COLIN: That’s what they said. They said 90 percent of the market was going to be agriculture the bulk. And also first responders. But this was a 2013 forecast drilling $82 billion worth of economic value that was going to be created. It’s still quoted today still used in the press releases I’m sorry. It’s long. It’s long since been proven that that’s incorrect. But back then I could see that it was wrong because we did research on the Ag mock market and we could see that there was the market itself was fraught with adoption issues and there’s issues exist today. And we don’t think they’re going away soon. 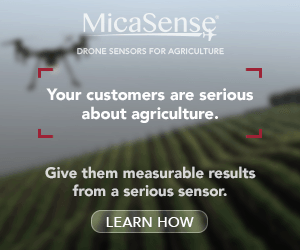 [00:21:42] One of the gating factors for drone usage or even aerial imaging is the ability to use that image and to use that image you would need some variable rate technology you’d need a variable rate sprayer. Well let me give you an example of how that’s not well adopted right now and how we’ve seen statistics that show it’s actually going down. [00:22:05] In Iowa and you can look back on a on a piece that I wrote back on this I wrote a piece on Fillmore Farms which is the biggest market. I go through two markets I go through agriculture and film photo and video. Compare those two markets. In Iowa maybe 12 to 13 percent actual adoption or usage of variable rate technology. So if only 12 or 13 percent of the farmers in in Iowa actually use VRT and we think the adoption rates are actually higher that they bought VRT and they have it and they use variable rates sprayers they don’t use them to create prescription to apply prescriptions to their field. Right because the value chain of the information is the drone takes the picture it assesses an area of the field it finds an area of the field that needs to be looked at. You do some ground truth thing. You send your agronomist out there and they go and look at it and see what the problem is. OK so let’s say we have a pest problem. OK we need to apply pesticide when we apply pesticide to the whole field. Just that one area of the field. So you need to go in with a variable rate sprayer and then only spray that area. [00:23:21] The thing that we found is we were looking at this market that the way people actually use sprayers isn’t for prescriptions. What they use it for and the reason they adopted it is because it turns off at the end of the row. Right. Because I don’t want a spray where I where there’s no crops. [00:23:36] They run down the row rand the sprayer automatically turns off they turn the tractor around that go back the other way turns back on. Now that doesn’t mean that drones don’t provide great value for looking at these images. It absolutely does. Right. And you can map small fields because now you can only map in a visual line of sight. They do provide great value and they do allow you to see where there are potential problems. But I think this is where it gets overhyped. This is where people make statements that drones are transforming our culture those are the headlines. Right. But that’s my one example of where we don’t think that that’s a leading market we think it’s sort of a lagging market. It doesn’t mean that farmers won’t buy drones. You absolutely think they will and do more of it and they are doing more of it because they’re easier to use and they’ve got software capabilities and like don’t deploy it’s a great piece of software that people are using because it’s simple to use and they can go do things that they’ve never done before which is begin that process of digital farming. [00:24:39] IAN: Some of these I’ll just say one thing so I was at the Beck Knology day conference and in Atlanta, Indiana and Becks. Becks superior hybrid’s is a company that makes hybrid seeds corn and soybeans the two largest crops in the U.S. and maybe well let’s not count, let’s not get rice into this but corn and soybeans. [00:25:00] And they actually like whenever you go to this event you and as a farmer you buy all your seed they will give you if you buy enough seed they’ll give you a variable rate machine you get out your character and they’ll also like just straight up give you a drone if you buy enough seed. And so like so many farmers in Indiana and the surrounding areas are to say getting free drones now and it’s like pretty interesting because they’ll just throw it up up the field and say OK well this is interesting what can I do with this and they’ll get a little bit more and more interested. [00:25:29] But it’s like it really resonated with me it’s like when you said that the main reason why they were using the variable rate applicators is because they turn off at the end of the row and then they can circle back around and not waste that extra expense on the fertilizer or whatever they’re applying to the crops. So they are very pragmatic. So if it’s not working right away as well they’re not going to be using it. So that is also I would say an adoption hurdle that needs to be overcome. [00:25:57] COLIN: Yeah for a large uptick. And it doesn’t mean that people aren’t going to use it and not grow crops. If you look to specialty at crops and you look at high margin crops like grapes or avocados or nuts in California. [00:26:09] IAN: Tree, nuts and what not. [00:26:11] COLIN: I mean there’s aerial imaging its a big deal but here’s where you start getting into competition with manned aircraft. Because manned aircraft are covering large amounts of area and the incremental cost for them to sell you an image of your property is very low. But if I’m a small grape grower and I have several vineyards and I have single vineyards right now I can use a drone to do that and assess the health or the irrigation or there’s lots of great uses. Yeah. And so do I your point is well taken it’s sort of that this OP uptick is going to be a little slower than what people had originally envisioned and what the visionaries were selling as this. [00:26:54] And I think a lot of companies figured this out that AG wasn’t going to be as fast a growing market as originally thought and now they see like for example the Goldman Sachs report that you mentioned. Everybody’s pivoting to construction. Construction is going to be huge, let’s focus on that and scurries off in that direction. [00:27:12] Yeah and I say well what’s going to happen when they find out there’s issues there too because we did a series of reports and I’d invite you listeners to go look at it on my web site under the under the research heading. And then there’s four free reports it’s called ‘the truth about drones in and name the industry construction infrastructure and inspection precision agriculture mapping and surveying first responders and emergency’. [00:27:41] You can see those four free reports which you can go in and look at and they go into depth about what are the opportunities and challenges in each of those industries regions. [00:27:54] IAN: What’s a day in the life of the Snow household are you in Charlotte kind of bouncing ideas off each other chatting about drones all day or is it like a nice mix. [00:28:03] COLIN: No there’s none of that. Charlotte has their own full time job and for me it’s nights and weekends and daytime it’s fueling a lot of calls and writing proposals and doing doing research and I try to read all the research or the news that comes out. [00:28:22] IAN: There’s so much. [00:28:23] COLIN: There’s so much news. I spend an hour and I also spend an hour and a half a day just looking at the news that have come out to various news feeds that tell me what’s going on and what new products are out there. [00:28:34] IAN: To find out what’s actually worth reading. There’s so much you can spend hours and hours all day. [00:28:38] COLIN: That is the issue, it’s culling through that and trying to find out what’s important and when I do I tweet it out. Right. So I think up to maybe 22,500 followers. [00:28:51] IAN: At the time this airs you’ll probably have more. [00:28:53] COLIN: Well, I think it’s a service and I feel like I owe a service to the community because any information people are forthcoming and I appreciate that. So back to the community what I wanna do is let you know about the relevant news and then comment on the relevant news. There are several of us that conversation converse back and forth. So you can you can do see that you can follow me on Twitter and one of the way to keep up with the nose at least with that and then I have a Facebook page that I update with significant news at least once a month once a week and then I do blog posts that are once a once every two weeks. [00:29:35] So I try to keep up with what I think are the relevant trends in the industry. But again that comes from a lot of works of daily work is really combing through the news figuring out what’s important figuring out what we’re weeding out the noise from the signal and then writing is probably at least four or five hours a day and then there’s editing back and forth between Charlotte and I. She takes what I do and says hey it’s better said this way and that I have to go back and rewrite. That’s kind of a typical day. [00:30:09] IAN: Nice team action going they’re, cool. There are misconceptions in the drone industry now that we’ve actually settled that point. Let’s talk about some of the drone companies that are out there. What are some companies that exist that you feel have a big opportunity and maybe I’ll add something on this if you want to go here. Maybe it’s companies that don’t exist yet. If there are addressable opportunities that they should be focusing on and targeting. [00:30:37] COLIN: Yeah. Well it is kind of getting a flavor here that the industry is very fast moving both in technology and opportunity and if you blink you’re behind and there’s this great quote from from Andy Grove who is the founder of Intel and he says “The lesson is we all need to expose ourselves to the winds of change” And so keeping up with change is a big deal so right now let me tell you that what I think the biggest opportunities lie in the industry are industry specific enterprise solutions. I think people are focused on solutions that are generic and are missing the fact that that in specific industries big brands hold the mindshare of companies. [00:31:23] So for example like in surveying and mapping you hear the word Topcon or you hear the you hear Trimble people know what you’re talking about because they’re in the mapping and surveying business. 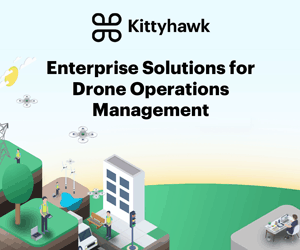 So those and those two companies have drone solutions so they have solutions that may not be terrifically focused on the specific industry but they do have enterprise solutions because they’ve looked at software and looked at with services. So it’s those industry specific enterprise services. I think the biggest opportunity lies in data services. [00:31:57] So companies like Autodesk and DroneDeploy and Precision Hawk, I think those are companies that are well positioned for doing well and going back to Enterprise Solutions I think companies like Skycatch and Caspary they understand the target vertical and they’re focused on construction or mining and aggregates or oil and gas and it’s those turn key enterprise solutions. [00:32:21] Enterprises want solutions they’re not because they don’t be hacking and putting together drones or cameras or anything like that one guy got to go find the software or anything they’re looking for a complete solution. And then I think integrated business service offerings. So where people are offering a business service to a particular vertical so companies like Sky futures and red bird that’s her company don’t view technologies they offer integrated business service solutions. I think they’re going to do well. [00:32:52] IAN: Yeah that’s a good point. So I guess a lesson to those Maybe I’m sure we have some would be entrepreneurs that are listening to this. And so if you were to suggest maybe something like hey I’m thinking about starting a drone company, first of all you better know the industry that you’re heading into I think you should know it extremely well. Yeah. In order to integrate drones into the workflow but would you suggest that going after a specific industry vertical whether you’re doing services or data stuff or what have you. [00:33:21] COLIN: Yeah. Well I think you’re right. So the first point is you need to know the vertical that you’re going to address and you need to know all the pieces of it outside of drones. Forget about just just drones for a minute. Let’s talk about, let’s say mapping and surveying. Do you know who SAPRS is if you want to do surveying and mapping? Right. That’s that’s a certifying agency that’s something you can look up on the web ASPRS, they certify you in the ability to do things like photogrammetry and LiDAR and they have lessons and capabilities. [00:33:56] That’s a group of people where the GISS specialists know what the requirements are because they’ve been servicing that industry people who want surveys and maps for a long time. So my recommendation is that you’re vertical first. The drone part’s not the hard part, the hard part is really knowing your industry and where the need is. So that’s sort of one thing that I recommend to it and I wrote a piece a while ago I think it’s five things you should know. You can find it under blog name on my web site five things that you should know if you want to do commercial drone services. And one of the very first things I put we talked about this earlier is video. Everyone assumes that a lot of startups thinks it’s either two guys in a drone or one guy and two drones business. Right. [00:34:50] They’ve started up and they think drones are cool and I’m going to build a business around this and it and you can. But you better be able to do some of the things that clients want. Well like editing and shooting and framing. Do you know what truck dolly is? [00:35:07] IAN: I have no idea what that is. [00:35:09] COLIN: Do you know what a pan is right. [00:35:12] IAN: I know what that is. [00:35:12] COLIN: It’s in that post so I just invite your readers to go take a look at that because then I go down through the other things like LiDAR. If you want to do LiDAR which is complex business. You just don’t throw a drone up and then take the card out of the drone when you’re done and and throw it into a piece of software, it is a huge workflow with massive files. And these are specialist his people have been doing LiDAR for a long time, that’s what I recommend to entrepreneurs. [00:35:50] Now on the other side of the hardware opportunities I think there’s tremendous hardware opportunities for companies. The fact there’s a company here today on the show floor called Aero Tanah. They make small radar based sensors. And one of the things that I wrote about this recently about drones and avoid is it is a difficult thing. It’s no slam dunk it’s it’s not something and it’s something that companies are developing more and more on. [00:36:18] You see Intel and you see a Yuneec and and DJI beginning to tackle the object avoidance part of in that sense and avoid where I’m actually going out and I’m doing collision avoidance with approaching aircraft that’s a more complex issue and it may require some hardware that that isn’t developed or is developed yet and aero is one of those companies that has several pieces of hardware and they’re out there testing it and not testing it for a long time and they have many factors in China that make a lot of these components. That’s where I think that we’ll see more capabilities on the prosumer hired drones where it’s important where you’re flying beyond the visual line of sight and I need to know what’s coming at me and who’s going to be in my airspace. [00:37:10] IAN: And just to clarify, you’re not saying like OK go out and start building a drone drone like a flying platform it’s more like there’s a lot of unaddressed hardware market for like just accessories. I don’t know what else to call them, in addition to drone or hardware components. [00:37:27] COLIN: Hardware components. And if you look at Intel’s website you look at the recent acquisitions. [00:37:32] COLIN: Movidious, and some of the other, Aztek and the capabilities they’re already putting into. The real sense technology that they put into the Yuneec drones and they even have their own platform. The Those capabilities right for onboard processing and object recognition. [00:37:55] I just think there’s a host of other places where innovators can do embedded software and better software capability. Machine learning deep vision that’s called Deep vision quote unquote. It’s the buzzword. But but it’s complex. It is technical. And I think they are opportunities there for entrepreneurs they’re specialized. [00:38:20] IAN: Cool. Nice. Is there a part of the commercial drone industry that is somewhat ignored right now? Maybe you feel needs a little bit more attention paid to it. [00:38:40] COLIN: Yeah I think there’s two things actually. I think it’s the incumbents and standards and by incumbents I mean both the incumbent technology like manned aircraft and satellites that and the existing service officer offerings from the big brands that really already service a specific industry I was talking about earlier and these are where competitors for drones and drone based services businesses. I think people ignore that. [00:38:59] So again that’s in that four part series The Truth about drones and acts. You’ll see that there’s a whole section each one of those. I cover the incumbents and incumbent technology in standards. I think there’s a whole lot that can can be done or still open and not addressed yet. And Chris Karoly you just wrote a piece on this called Why standards will be critical to UAV adoption and it’s actually on the commercial UAV news Web site. It’s a great analysis of of this and in a nutshell he kind of outlines where we are as an industry on the issues of safety and security and privacy and data protection industry standards. And he makes a very good point that without those standards we’re really never going to get to widespread adoption of commercial drones because enterprises are going to struggle with this. [00:39:49] And there’s a great quote in this piece that says that ‘companies who don’t think there will be standards are dead’ And I agree with that and I think I think drone manufactured some of the drone manufacturers some of the big brands need to wake up and hear that message. [00:40:05] IAN: Nice. Yeah. There’s all kinds of stuff I mean coming from corporate aviation and everything I mean there’s just huge safety standards in logging and SMS programs are just safety management systems not text messaging and all these things that are coming in will come because the enterprise requires them and who is who is the enterprise going to ask first about integrating drones and the legal aspects of it is probably their aviation depart and yeah we’re talking like the big companies here with the private aircraft. Totally agree on that too. [00:40:37] COLIN: I think the point that you made is is that it’s sort of this ignores the other ignored piece of it is that the drones are aviation. I think it’s a huge thing that’s sort of ignored because a lot of it grew up out of the hobby industry and I saw this early and I wrote this early on in a piece I think called ‘the democratization of aerial photography’ and then another piece that followed on and was comparing the commercial drone industry whether it was going to be the military based companies that were going to thrive in that commercial market or whether it was going to grow up out of the hobby industry and I was clearly seeing that the trend was it was going to grow up out of the hobby industry. [00:41:21] Because of all their strict sions and capabilities that the the the large defense contractors were under because they they are vendors to the government prevents them from really focusing on selling the same aircraft that they have at a lower price point. And I could see that the industry was going to go down in price really quick from those aircraft because those aircraft like the Reaper and some of the others that were flying out of there and Scaneagle, these are these are drones with huge infrastructures and I didn’t see them in the commercial market making an impact for very very long time because of those because of the high costs and the complexity and they were early on. You remember that early on they were some of the ones that people were using like the BP oil pipeline in Alaska. [00:42:16] You know there is again Scaneagle and and these things these are huge infrastructures and high costs. And you can do more with a lower cost you can do the same thing with a lower cost drone with with a cable really because everything is shrinking. You know it’s Moore’s Law applied to the drone industry. So again it’s sort of that ignored piece of it though. But they understood that it was aviation the drone industry that grew up out of the hobby aircraft didn’t and are just now figuring this out and you’ll see them hiring legal people. So yeah you were right on that. It’s like that ignorant pieces aviation. IAN: [00:42:58] IAN: I could go on a rant about that I think it was Chris Anderson who is like tweeting about how drones are not aviation. And I was very worried about that as soon as you ascent a millimeter above the ground outside you’re in the federal you’re in the national airspace so. I don’t agree with that. But yeah it’s it’s aviation and you get a pilot certificate for being 107 certified. So you literally are called a unmanned aircraft right then and you are the pilot in control. [00:43:28] COLIN: Right, and that’s the way the NTSB looks at it. Yeah that’s the way the DOT and the FAA look at it it’s it’s a pilot based certification. Right. And it is even true in in commercial aviation standard. You know when you jump on an aircraft right. [00:43:45] It’s the pilot he’s in charge right. He’s the guy he’s the guy you see the pilot get out and he puts his own safety vest on and he goes in he does a walk around right on the plane. [00:43:54] He’s responsible for the final check on the aircraft. Ultimately the port for takes off. [00:44:00] IAN: Nice cool. So we talked a little bit about software and hardware in the interest of time I’ll kind of skip along here. I want to know so what do you think after talking about all this stuff what’s kind of the most exciting thing that’s happening to you in the drone industry today. [00:44:16] COLIN: Well there’s lots of things happening to me I think that one of the things that I’m most excited about is that we now have the FAA part107. We’ve got regulations in place and they weren’t as onerous as people thought or they could have been. So we have the basis for an industry base to grow on. I think that’s exciting and a few weeks ago Patrick Egan SUASU news he wrote a piece called ‘Part 107 your golden ticket’ and it really summed up my feelings about where we are. [00:44:44] There’s been a lot of grousing about what’s not in the new rule geez we can’t fly for if we can fly it might be I can fly beyond visual line of sight. I can’t get my DVD box delivered to my candy bars delivered to me. You know you got to get it. It goes on and I get that. But my feeling is there’s plenty of work that can be done right now under this rule so that 10 years of uncertainty that we’ve had this one of the first aviation rulemaking committee was formed 10 years ago that uncertainty is over and people can begin to offer services. [00:45:15] So from the real estate agent who wants to wants aerial photos to the solar company that wants tower inspection to the insurance company that wants to get proper damage assessments to the first responder who wants a better view of an incident. I mean I think that’s exciting and also exciting to me because I mean business is is that there’s competition. Right. Competition helps everybody. Some people think it’s a race to the bottom and certainly there’s a lower barrier to entry and we’ll see new entrants and for general photography I think prices go down as a result. And people then have to differentiate yourself. But there’s a healthy part of that competition that means that there’s better customer benefits because everybody is working harder to produce a better product. I personally find that exciting. [00:45:58] IAN: Cool. I agree with you on that. And where do you see us then as an industry as a commercial drone industry in like 2,5 and 10 years as if it’s even possible to speculate. I’m going to set a reminder 10 years from now if you can answer this. [00:46:13] COLIN: Well let me look into my crystal ball is murky at first. You’re right. It’s coming clear. In two years honestly and you may not like this. But I don’t I see it mostly in the same place that we are today. So that’s two years out. That will happen hardware or software. I think we’ll see significant advancement in regular but I don’t think we’re going to see significant advancements in regulation. You can see enterprise adoption they’re going to begin to to work on standards and standard operating procedures. And those things and I tell people welcome to the plateau. [00:46:48] Right now we’re in a plateau and get used to this because it took us 10 years to get to where we are now with current rule. Question mark. How long will it be for the next major rule. How long will that take. I saw news today about NASA UTM conference which is later this week in New York. P.K. who’s sort of the head of the NASA project he said we were going to make recognitions probably by 2019. Okay that’s when they’ll make recommendations. Right. That doesn’t mean we’re going to see an automated integrated system. Who’s going to who’s who’s going to pay for it. Do you have to pay for it? they’re not budgeted to pay for it. [00:47:31] You know as one of the big companies going to pick up the slack and how are they going to make revenue. These are all the sort of the business issues, the technical issues I think are going to get solved, the business issues , the economics of it is where I think it’ll struggle. And and I think the effort is taking a great approach to it. They’re not looking at more of a performance base standard than prescribing a piece of hardware or a system to make it work. I think that’s the right approach. They’re working with industry and kudos to them. I think Marco Huertas again I’ll give throw some kudos. I think he’s he’s smart he’s right on. Yeah. I don’t want to see us do what they did with TSB which is mandated piece of hardware and do it appropriately because then you now have a problem with adoption. [00:49:10] IAN: Yeah right. Indeed that’s true. So last question for you Carl and what’s. What’s one piece of advice that you’d give to newbies entering the drone commercial drone industry? [00:49:22] COLIN: Yeah well we talk about a little earlier, specialized to find a niche, get training get certified and I don’t just mean get the remote pilot certification from the half I mean assess which market or markets or use cases you think are going to provide you the best chance of success and then get the skills you need. Again it’s the piece that I wrote five skills you need to succeed in the commercial drone market. [00:50:10] IAN: Wow. Thank you so much. And that was that was awesome I’m so happy to have had you on the show. There is a ton of I’m going to have to give this a couple listens and let it all sink in. I think we got a ton of great insight. We debunked some myths we talked about the 50 different 50 or 60 different industry forecasts the reports that are just being quoted all over the place. I’ve done what I’ve done is I’ve picked the lowest the lowest projection one and that’s the one that I’ll stick with. [00:50:39] IAN: I don’t know 120 million people about it from there if you’re conservative. Cool so. Man thank you so much for being here Colin and you can go ahead and as as we talked about you can check out the drone analyst Web site at droneanalysts.com and you can follow Colin on Twitter @droneanalyst. And while you’re at it you can go ahead and follow the podcast @dronespodcast on Twitter or Facebook.com/ronespodcast. Subscribe on iTunes or what have you were on I-Heart Radio now if anyone uses that I don’t even know. But all over the place doing really well. But what we’re missing is your comments. And so I do receive a lot of private messages but the conversation hasn’t really started to publicly yet on social media. So we’d love to call in and on and drone analysts and see what you guys have questions for your comments. And thank you so much for listening once again. Thank you for being here Colin. [00:51:34] COLIN: Thanks Ian, I appreciate this. [00:51:35] IAN: My pleasure. Pleasure was all ours and all the listeners too, so we’ll catch you on the flipside everyone we’re cutting off the mics. Cheers.